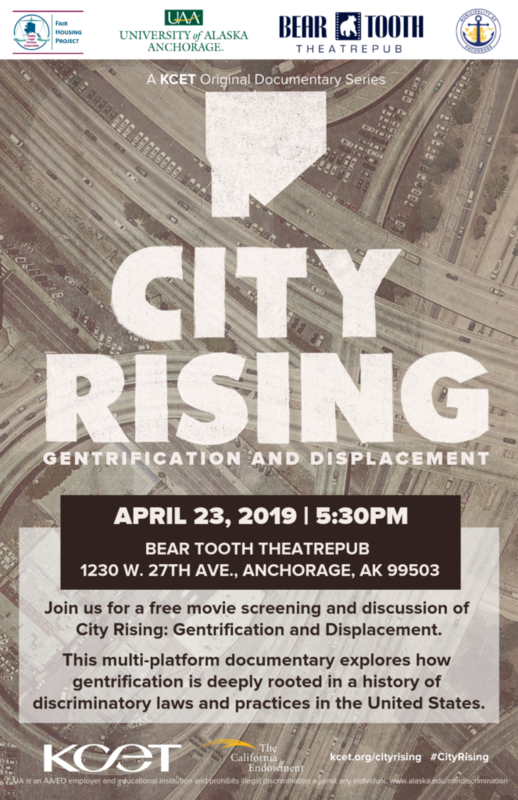 In honor of Fair Housing Month, the ALSC Fair Housing Project is teaming up with UAA, Beartooth Theatrepub, and the Municipality of Anchorage to offer two free community film screenings and panel discussions of the documentary City Rising: Gentrification and Displacement. Presented in partnership with: University of Alaska Anchorage and the Municipality of Anchorage. Free parking will be available in the West Campus Central Lot and Sports Complex West Lot. Presented in partnership with: Bear Tooth Theatrepub, University of Alaska Anchorage, and the Municipality of Anchorage. This multi-platform documentary shows how gentrification is deeply rooted in a history of discriminatory laws and practices in the United States. 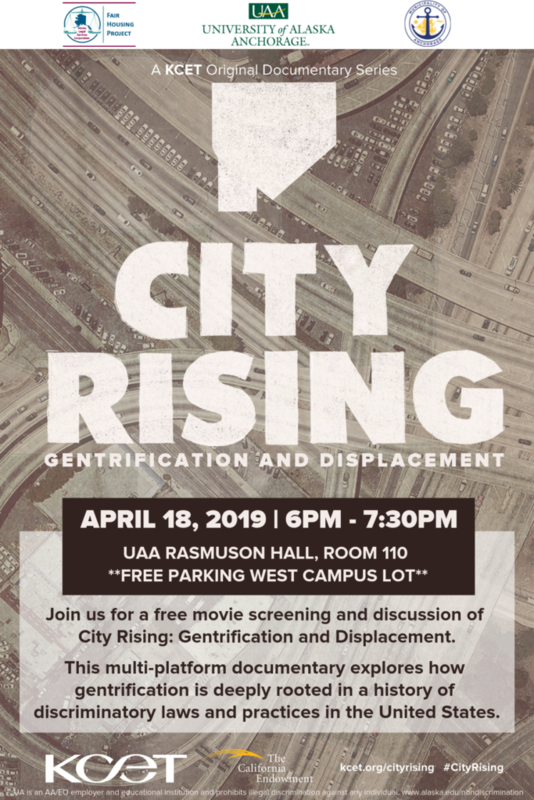 City Rising follows the journey of California communities that are fighting gentrification and features a growing movement of advocates seeking responsible development across the state. People of color who cherish their neighborhood’s culture and sense of community are mobilizing against unsustainable rents and other forces that they see are pushing neighbors into homelessness.